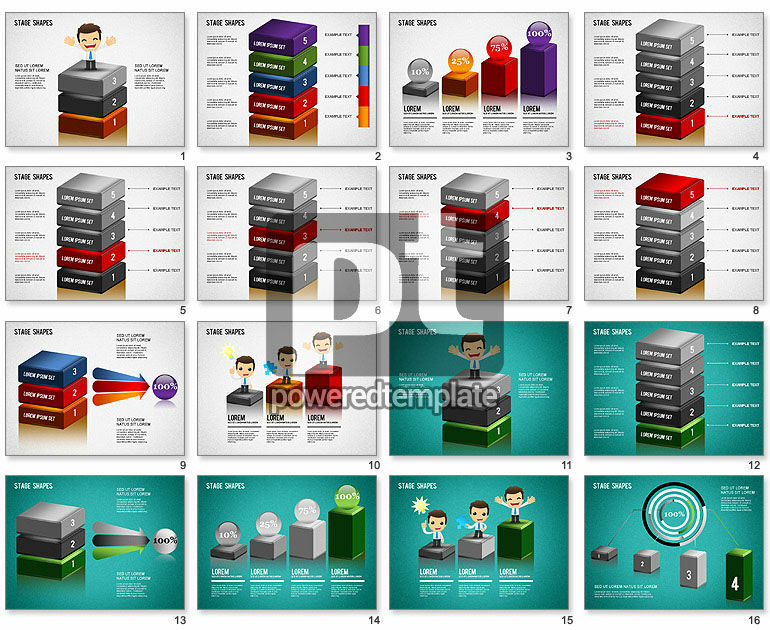 These presentation slides 40079 are complete compatible with Google Slides. Simple download PPTX and open the template in Google Slides. Meet this incredibly nice and colorful Stage Shapes Diagram. It is created in a 3Dstyle with different colorful cubes, arrows, numbers and cartoon businessmen. This fabulous sample will perfectly suit various presentations in many different spheres of business. Use it to talk about production, stages, progress, success, product development, concept study, making action plans, etc.